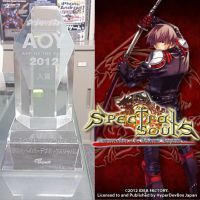 You are here: Home / News / News / “App of the Year” 2012 award for Spectral Souls. “ExZeus2” now available for your Android Device . “Spectral Souls” now available for your Windows Phone 8 .